The American Dental Association (ADA) celebrates National Children’s Dental Health Month every February. The awareness campaign is especially important in 2013 because recent reports have shown that many American kids don’t have access to regular medical care. According to a 2012 study conducted by the United States Senate, 17 million children from low-income households received no dental care in 2009, the latest year with available data. Additionally, the Kaiser Family Foundation found that one in four youths have untreated tooth decay. Dentists and other medical professionals should participate in National Children’s Dental Health Month to ensure that children have excellent oral health. Doctors and oral surgeons should speak with families about the importance of regular dental check-ups and teach parents how they can help children. Promotional marketing products can be used to raise awareness for National Children’s Dental Health Month. Pediatric dentists should encourage patients to schedule appointments during February. Doctors can mail reminders, but standard postcards might not be the best materials to use. According to Deliver Magazine, flat mail earns fewer responses than small packages and oversized letters. Medical offices can capitalize on the news source’s findings by mailing promotional wall calendars to their regular clients. Medical professionals can print dental health tips on every page so that families know how to take care of their teeth. Alternatively, promotional magnets shaped like teeth can be used as small gifts for patients. The branded items can remind parents to schedule appointments for themselves and their children. Longevity is primary advantage of using unique promotional products to raise awareness for National Children’s Dental Health Month. No other marketing materials can match the shelf life of branded gifts. The advertisements can increase the visibility of oral health for children for a much longer period of time than a commercial or email campaign could. 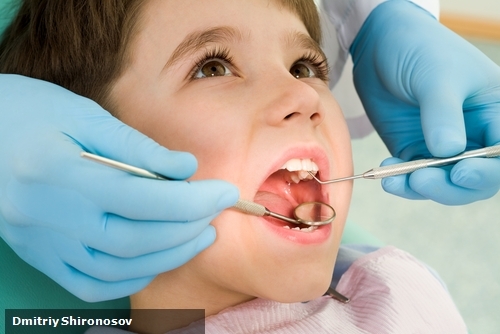 The American Academy of Pediatric Dentistry (AAPD) recommends that children see a dentist at least every 6 months. In some cases, the medical professionals may encourage more frequent appointments to prevent long-term issues like cavities. In between check-ups, parents are encouraged to help their sons and daughters practice excellent health habits. Dentists provide advice at every appointment, but kids might not listen, and parents can’t remember every tip. Dentists should distribute promotional pens and notepads so mothers and fathers write down every helpful lesson. Parents can use their notes to ensure that their children have stellar hygiene.